You finally launched a Twitter account, and your follower number is a big bold zero, causing you to wonder how you can get more followers quickly. Who better to recruit than people you already know? You probably have a large list of people in your email contacts who would be happy to learn of your presence on their favorite social network. In the Who to follow section of your Home timeline, select Find people you know to open the Find friends screen. You can also open this screen from the Settings menu. Select Upload contacts next to your email provider. Enter your email login credentials when prompted. When asked if you agree to share your information with Twitter, click Allow. Contacts who are already on Twitter are highlighted. Follow those individuals by clicking Follow next to specific individuals or follow all the contacts who are on Twitter by clicking Follow all. Invite contacts who aren't already on Twitter to join Twitter from the same screen. Twitter doesn't send out emails automatically. You select the people you want to invite from the contacts list. Tap your image at the top of the screen. Tap the slider next to Sync address book contacts to the On position. Give Twitter permission to sync with your email contacts. Once this feature is activated, Twitter updates your contacts periodically to keep the list up to date. If you change your mind, move the slider next to Sync address book contacts to the Off position. Then, tap Remove all contacts. You can search for people by name in the main search box on the site. Twitter allows users to be searchable by email address and by phone number, but each user must activate those features in their Privacy and safety settings. They are not activated by default, and many users don't activate them intentionally or don't realize they are there, so you may not have any luck finding someone by searching for an email address in Twitter. It doesn't hurt to try, though. Twitter does not let you create a new account using an email address that is already in use. 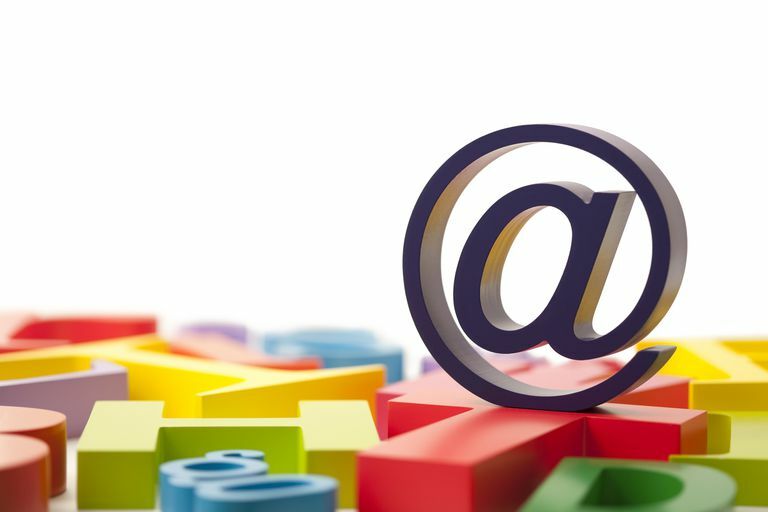 If you want to create five Twitter accounts, you need five unique email addresses. If you want to change your email address, log in, click your image in the top right corner of the screen, choose Settings and privacy. Click Account in the left panel and replace your current email address with your new email address. Twitter asks for your Twitter password to confirm the request. Twitter then emails the new email address and asks you to click a link and confirm it is an active email address. If you're getting too much email from Twitter, you can update your email preferences. To manage your email notifications, click your picture at the top right-hand corner of your screen while logged in to Twitter. Select Settings and privacy and then Email notifications in the left panel. Review the list and check or uncheck the different types of email notifications Twitter sends out. If you get an email from Twitter that looks suspicious, forward it to spoof@twitter.com. Emails that look fishy and that ask you for your login information are called phishing emails.